If you work on some yards they will make you clean a horses tack every day. In my world I simply don’t have time to do this. I tend to clean mine if I have a show I’m going to – which in the summer could be up to two times a week, or when I think it warrants it. 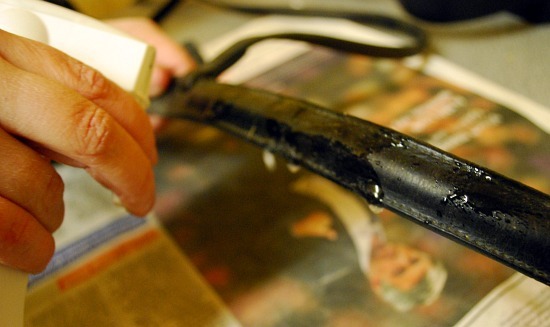 To clean the bridle leather I start off by dismantling it. I then use a relatively blunt knife to scrape off any excess grime – this tends to build up in areas around the nose and brow band. I then clean it using a liquid spray saddle sale soap – there are loads of the market and I find them easier to use than a traditional soap. I follow the guidelines on the bottle, spray the soap onto the area and then gently scrub with a small sponge. When the entire bridle has been cleaned I then use a leather conditioner. Sometimes I use a balm with a old tea towel – massaging it into the leather. I also have a spray conditioner but I quite like the balm. The bit then usually goes in the dishwasher (it comes out really shiney) or gets a really good scrub in the sink. 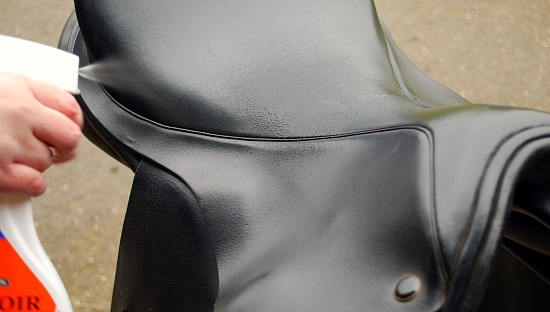 I clean my leather saddle in a similar way to the bridle – obviously I dismantle it, but I do make sure I clean all over it both the top, the underneath, the bottom and all the girth straps. 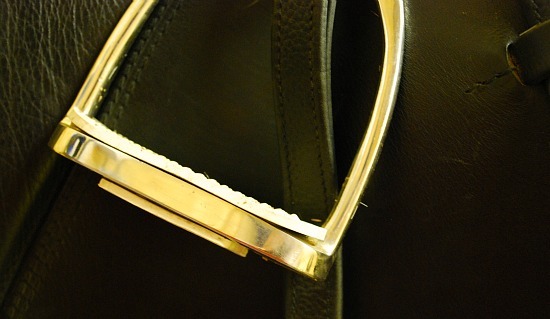 The stirrup leathers also get cleaned during this process. The stirrups get shoved in the dish washer as well. My saddle blankets get washed regularly in the washing machine – much to my partners annoyance as the hairs tend to stay in the machine and the stick to the next washes clothes. I don’t use other tack on a regular basis but if I did need to clean a chest plate etc and it was made out of leather the same process would be followed as with the bridle. 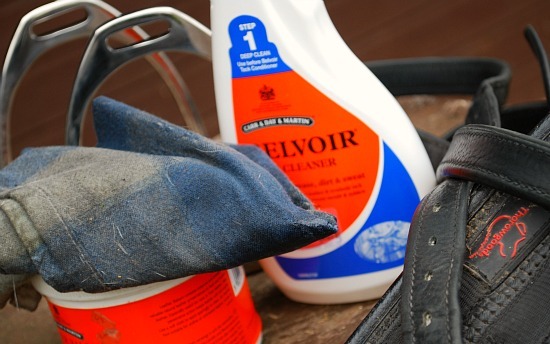 I HATE cleaning my tack – but there’s nothing nicer than looking at it when it’s all done and looks as a good as new.